So disappointing 'Love ect' isn't on this compilation. Would have made this release more attractive for purchasing. 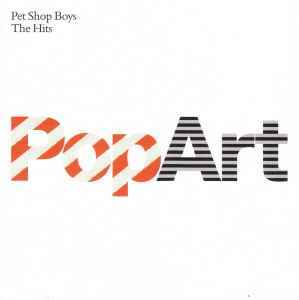 Pet Shop Boys - PopArtMix - CD3 "Mix", EMI UDEN 5957662, Track #10 "Love Comes Quickly (Blank And Jones Mix)"
I'd like to know if anyone else can confirm these dropouts on their copies as well. Thank you! Although this is, by far, the ultimate Pet Shop Boys collection to date, including two new brilliant songs ("Flamboyant" being their best release in years), the third bonus CD of remixes leaves much to be desired. Obviously they were not going to simply fill it with the remixes which have been widely available, but the remixes included, for the most part, sound like nothing but filler and quite a disappointment for this huge PSB fan. I was expecting a much stronger collection of never-released vocal remixes. But the album, for what it is, still gets the highest rating.